Coffee shops are in the news, but where did it all begin? Perhaps with this man, Pasqua Rosee (fl 1651-6), who opened London’s first coffee-house at St Michael Cornhill. Rosee’s coffee-house was a shed in St Michael’s churchyard. Here he served “two or three dishes” of coffee “at a time twice or thrice a day.” Rosee was also a champion of the new drink, publishing a handbill advertisement entitled “The Vertue of the Coffee Drink” (c.1652). Rosee claimed “coffee good against sore eyes… & will very much stop any defluxion of rheums… & so prevent the cough of the lungs.” His belief that coffee “will prevent drowsiness & make one fit for business” has proved more resilient than other claims for its benefits. Rosee’s story, and that of London’s first coffee house, is also available for a listen in the ODNB biography podcast. You can download the mp3 of the Pasqua Rosee podcast. The Oxford DNB online is freely available via public libraries across the UK and by subscription elsewhere. UK libraries offer ‘remote access’ allowing members to log-on to the complete dictionary, for free, from home (or any other computer) twenty-four hours a day. 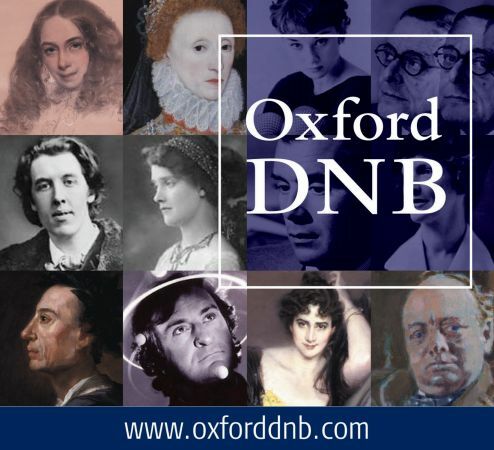 In addition to 58,000 life stories, the ODNB offers a free, twice monthly biography podcast with over 130 life stories now available. You can download it directly, or subscribe in iTunes or another service. You can also sign up for Life of the Day, a topical biography delivered to your inbox, or follow @ODNB on Twitter for people in the news. Subscribe to only articles about British history on the OUPblog via email or RSS. If you enjoyed this Podcast and would like to sample coffee as it tasted at the time of Pasqua Rosée then come on an eighteenth-century London Coffeehouse Tour! On the third Saturday of every month, join actors, musicians, and Dr Matthew Green for an immersive guided tour of London’s original – and best – coffeehouses. From Cornhill’s labyrinth of medieval streets to the gleaming steps of St Paul’s Cathedral, witness how the ‘bitter Mohammedan gruel’ transformed the face of the city, brought people together, and inspired brilliant ideas that shape the world we live in today.